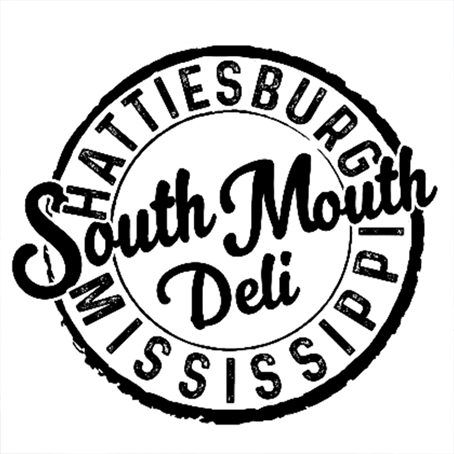 The South Mouth Deli is located in the Newpointe Shopping Center in West Hattiesburg. We offer unique, gourmet sandwiches along with the deli classics you grew up loving. Pair your salad, sandwich, or wrap with house-made soups or savory sides. Desserts and sweet treats are prepared daily by our pastry chef. Breakfast is served all day as well. Stop in and grab a fresh cup of home-roasted coffee or cappuccino to go with our unique omelets, breakfast sandwiches or pancakes. Ordering is done at the counter, and eat-in customers enjoy a unique dining environment adorned with reclaimed barn wood. The deli-counter features house-cured meats, gourmet cheeses, and local baked breads. Gluten free and vegetarian choices are also available.